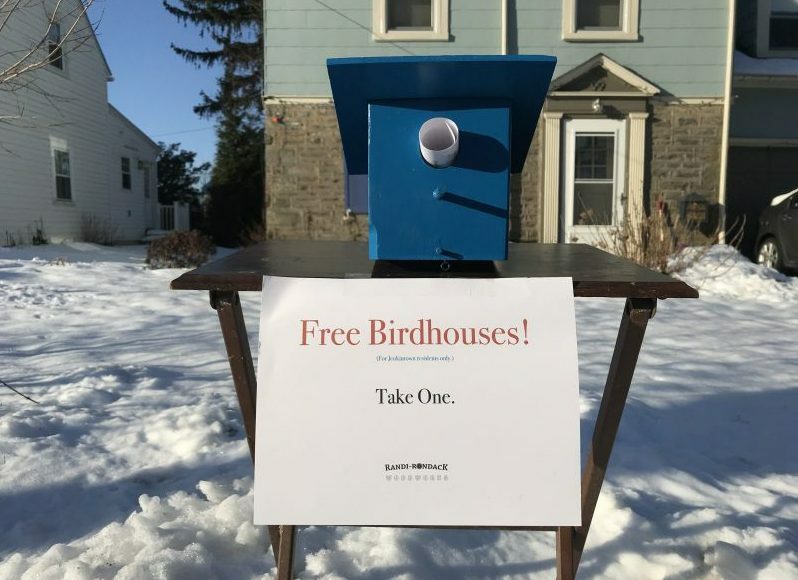 Little Birdhouses for Jenkintowns Soul are free for Jenkintown residents only. Making these birdhouses is the result of my reawakened interest in woodworking and an attempt to transition from a career in front of a computer screen. Thanks to some recent tool acquisitions and the generosity of dear friends, I finally have the workshop that I’ve always wanted. I can finally make things that actually cast a shadow. My mother and grandfather or pépé (French-Canadian) on her wedding day, 1952. My grandfather, Charles “Chick” Graveline, was a master carpenter who used to make birdhouses as a way to use up his pile of scrap wood. I have an example of one of those birdhouses in my back yard that the birds use every year. In that tradition and to help me hone my skills, I offer these to the community. All I ask in return is that you take a photo of it when you hang it and send it to me at [email protected] or post it on my WalkableJenkintown Facebook page. I will occasionally put a small batch of them on a small table in my front yard, but you can request one as well. In honor of Jenkintown’s Color Day festivities, I typically make them in either red or blue. I can do special work as well, so contact me so we can discuss.